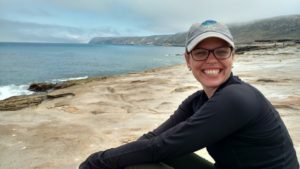 I am a plant evolutionary ecologist conducting original research and sharing my passion for biology with others through teaching and outreach. In my research, I investigate how plant genomes evolve following species introductions into novel environments, with the goal of understanding what evolutionary forces shape this evolution and how genome changes affect fitness and other traits. To answer these questions, I study invasive and weedy plant species, and I use the tools of field observations and experiments, population genetics and genomics, and DNA cytology. I completed my PhD with Dr. Norman C. Ellstrand at UC Riverside and my post-doc with Dr. Katrina M. Dlugosch at University of Arizona. Currently I am a post-doctoral fellow in the Grand Challenges Initiative at Chapman University.